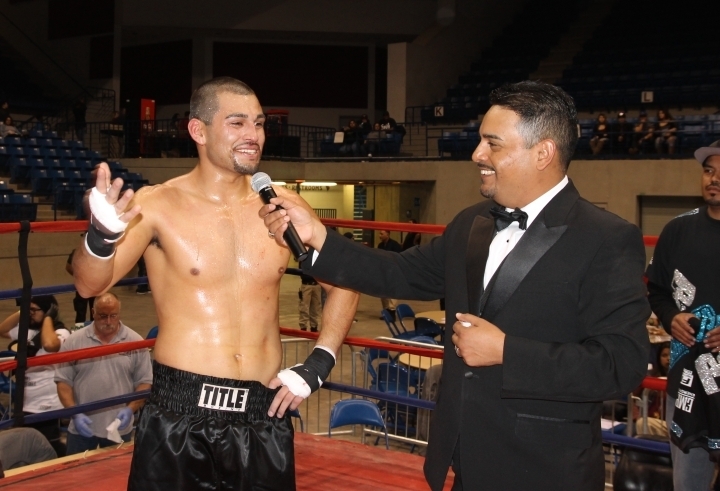 On October 12, 2012, I traveled to Hobbs, New Mexico for the first time to see a fight card promoted by Isidro Castillo. 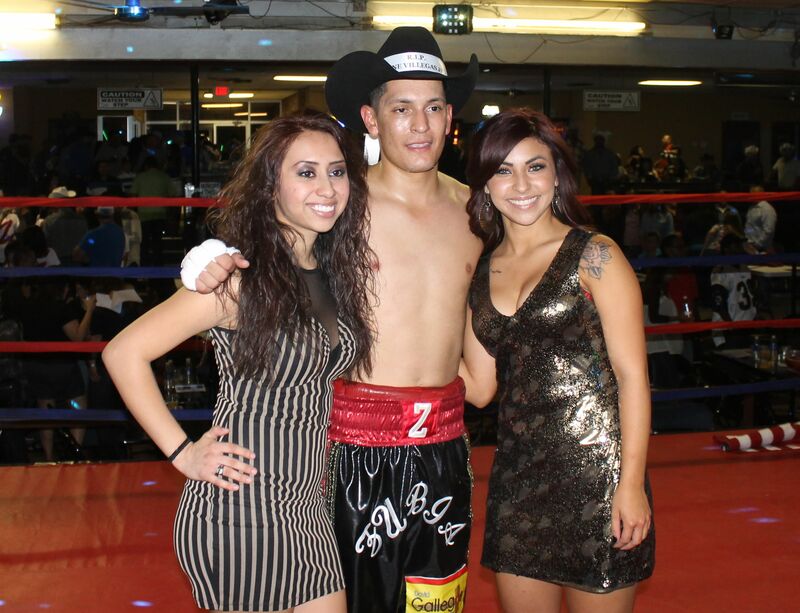 On the card that evening, were Edgar Zubia and Gerardo Quintana who both scored first round stoppages. The entire evening consisted of eleven rounds of boxing, but everyone went home happy because all the bouts were explosive. Since that time Castillo developed a third boxer he has showcased on his promotions, Isidro Castillo, Jr., who is his son. Over the past six years he has never failed to put on a good show which included impressive attendance figures. Saturday at the Club La Sierra his card will not have Zubia, Quintana or Castillo, Jr. for the first time since I’ve covered his fight cards. The School of Hard Knocks Boxing and exciting fight cards belong in the same sentence, but will it continue without his three stars performing? If past performance is an indicator of future success, then Saturday’s card should not disappoint. All fights are scheduled for four rounds. In the main event a light heavyweight contest, Kelly Westby (0-1-0) 178.2 lbs., of Hobbs will face Michael Sanchez (1-1-0, 1 KO) 176.2 of Midland, TX. I saw Westby’s debut back in 2015 and he was very aggressive. Unfortunately, he carried his left hand low and it cost him dearly. He was vulnerable to over hand rights, ultimately losing by TKO. 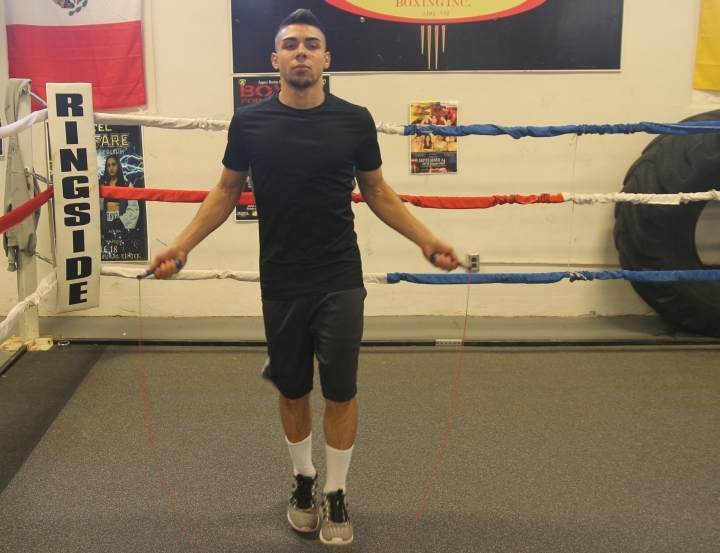 I witnessed Sanchez’s last fight against top prospect Joey Alday Jr. Sanchez took the bout on one day’s notice and clearly was unprepared for such a daunting task. He gave it his all, but was no match for the classy Alday. I’d favor the Midland boxer in this one, but it could be competitive if Westby remembers to keep his left hand up. 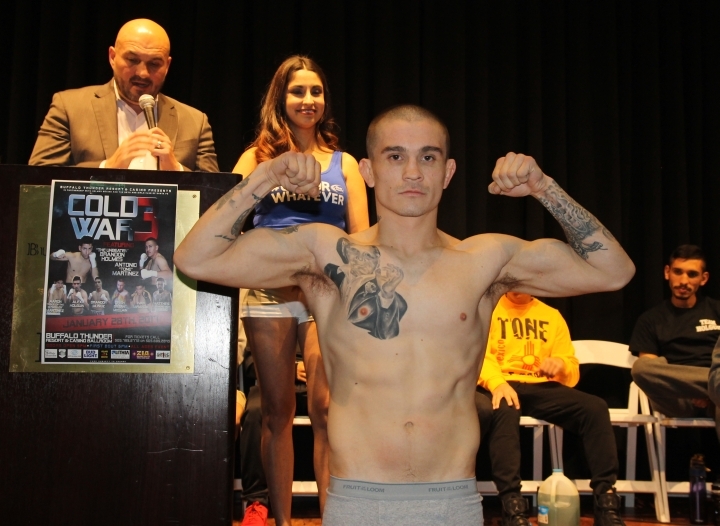 In a cruiserweight contest being billed as the co-feature, Chris Cruz (1-0-1, 1 KO) 208.2 lbs., of Lubbock, TX will face Eduardo Silva (1-1-0, 1 KO) 217.4 lbs., of Belen. I know absolutely nothing about Cruz, having never seen him box. I did see a short story about him on local TV. He’s well spoken, good looking and looked to be in good shape working the heavy bag. Obviously he’s undefeated and a win on Saturday night should cause a little excitement. I was ringside when Silva made his pro debut, losing a majority decision in an action pack fight. He was in control when the action was in center ring, but made the mistake of fighting off the ropes much of the time. This has the potential to be an explosive fight from the opening bell. The fourth bout of the evening has lightweight Aaron Perez (3-0-0, 3 KO’s) 129 lbs., of Albuquerque facing Gene Perez (2-13-1) 135.4 lbs., of Belen. Aaron Perez was a highly decorated amateur with over 150 bouts before turning pro early this year. Although he’s off to a good start as a pro, the knock on him is the quality of his opposition. That will change Saturday, as Gene Perez is clearly the toughest pro he’s faced so far. The Belen fighter has no reverse and is always coming forward. He will be in Aaron Perez’s face from the opening bell. So far the Albuquerque boxer has been able to set the pace in all his fights, seemingly scoring at will. Will he be able to do that on Saturday or will the Belen Perez be able to take him out of his comfort zone. We will know the answer in less than 48 hours. In the third bout of the evening, a lightweight contest between females, undefeated Ayanna Vasquez (3-0-1, 1 KO) 136.2 lbs., of Las Cruces will face debuting Bridgette Baca 132 lbs., of Albuquerque. Vasquez comes from a fighting family as her brothers Rick Jr. and Adam are also solid pros. I’ve seen her fight before and she has a solid background in the sport. Her problem, as with most female pros, is finding opponents as there is a shortage of qualified competition. I know nothing of Bridgette Baca’s background, but I hope she has some experience in the sport; otherwise it will be a long night. In the second bout of the evening, Jose Prado (9-2-1, 3 KO’s) 146.6 lbs., of Pharr, TX faces Derek Perez (1-8-1, 1 KO) 146.6 lbs., of Belen. Prado struggled in his fight with Gene Perez, Derek’s brother, winning a close decision. 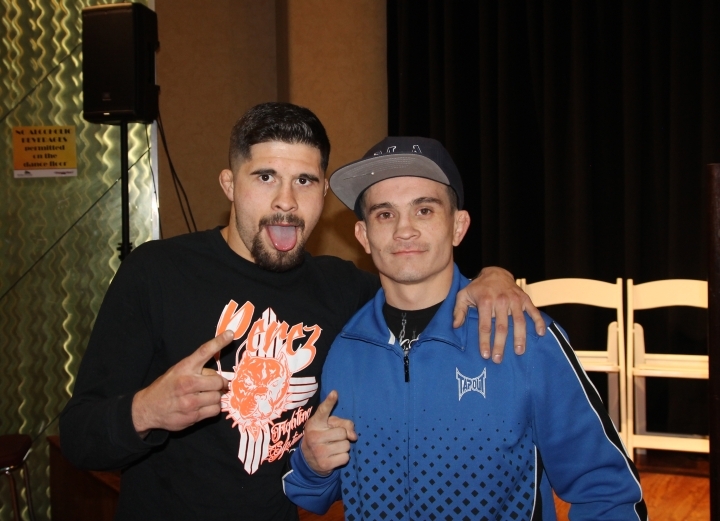 I spoke with Prado after his fight in March and he said he just had an off night. Derek Perez is a dangerous adversary who has quick hands and some power. Looking at Prado’s record, it would appear that he has had many on nights. He’ll need a solid effort if he hopes to deal with the upset minded Perez. The opening contest is between winless lightweights; Jorrel Sparenburg (0-3-0) 134.6 lbs., of Hobbs faces Levi Lucero (0-1-0) ?? lbs., of Albuquerque. I’ve never seen Sparenburg in action but did see Lucero face Aaron Perez in his debut. On that night Lucero was game, going right after Perez. The fans gave him a big hand for his effort in a losing cause. Promoter Isidro Castillo always tries to match up boxers who have yet to win a fight. So when the bell rings for the start of this contest both boxers have an excellent chance to get their first victory. Doors will open to the public at 6pm with the first fight set to kick off at 7pm. Tickets are $45 and can be obtained at Club La Sierra at 3000 W. Marland in Hobbs or by calling Isidro Castillo at 575-263-4942.